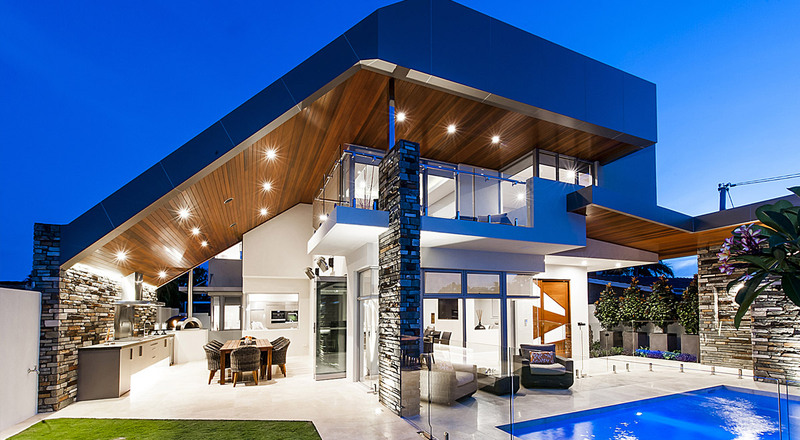 Peter Doggett Architect undertook the design of our family home on West Coast Drive Marmion. From the very first meeting my wife and I were impressed with his intimate knowledge of the northern coastal corridor and the elements that we should consider in our build together with how best we should utilise our corner block. Our block offered panoramic ocean views but privacy was a prime design brief concern and through clever angles, cantilevered elements, consideration of shade, glass and external finishes we were able to fully maximise views whilst maintaining privacy to our entertaining areas inclusive of our front courtyard pool. Throughout the build he was always looking to take advantage of opportunities that presented themselves as the build progressed. As a builder myself I found this to be a positive experience as often some of the best ideas come about during the build. I would highly recommend Peter to anyone looking for a house that looks outside the conventional ideas. He has few peers. Peter Doggett has demonstrated his artistic integrity and experience in the design of our new home, with meticulous attention to the sometimes quirky requirements of the owners. The result is a home emerging quietly from the rise of the block, with a restrained elegance and tranquil ambience of which we are delighted and proud. This boutique firm includes a first class interior design service provided by Kim Doggett who has guided us skilfully through the many and complex decisions required in a new build. Together this team is delivering to us a much better home than we had hoped – on time and on budget. Together they have made the journey an enjoyable experience and one which we would happily repeat. They come with our highest recommendation. Since we moved in we can’t count the number of times we have said to each other “I just LOVE this house”. We found Peter to be an architect of talent and flair who did not drive his own agenda but listened to us and always made himself available. The result is a truly beautiful and individual home that fits us perfectly while cleverly taking maximum advantage of the block orientation and available views. It also helps that Peter’s wife Kim is a talented interior designer in her own right and although she has her own independent business, Kim worked with us and Peter to give us the interior we wanted in our hearts but never would have been able to achieve ourselves. We engaged the services of Peter Doggett to design for us what became a multi award winning home. We went to Peter with an idea of what we thought was right for us, and soon realised with Peters guidance, knowledge and experience that we were designing a home to suit everyone but ourselves. Peter very professionally and respectfully guided us onto the path that we needed to be on, which was designing a home for ourselves and our needs. Peters level of dedication and commitment throughout the design process was second to none. We were overwhelmed by the continuous support and ongoing commitment to the project to work with us to achieve such a wonderful outcome. We absolutely love our home, there is nothing we would change about it. Peter's vision was to create a home that represents an adventure from the moment you walked through the front door and he most certainly achieved this with our home. We wouldn't hesitate in recommending Peter or using his services again, it was such a wonderful experience and his attention to detail will be forever appreciated. Peter Doggett was commissioned to design our home in North Beach, Western Australia. We were immediately impressed with his architectural knowledge, design aesthetic and innovation. Working with Peter was a fantastic experience and one that we would happily repeat if given the opportunity. We believe Peter added true creative value to our vision and without his design input, our home would have never reached its full potential. Peter follows a strong, detailed and collaborative design process which we feel is extremely important when designing your forever home. An architect who actively listens to their Client is key to a good working relationship and Peter does not disappoint in this area. He was always available and extremely solutions focussed. Unfortunately Tony had to relocate overseas during the construction for a 12 month period. Peter took the reins and became our ‘eyes on the ground’ which was invaluable to us because of his high level of building and construction knowledge and experience. When blending a large family like ours, it was important to make this unique and large home feel warm and welcoming. Peter achieved all this and more through his creative thinking and remarkable design. Part of the build utilised a fairly uncommon material in rammed limestone which Peter had not worked with before. 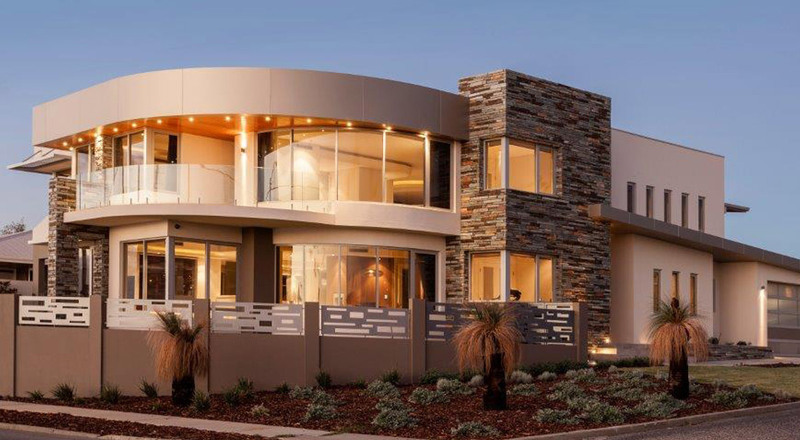 Through detailed research and an innovative approach, Peter melded building materials extremely well and achieved an outstanding aesthetic to the home both inside and out. Even more important to us than the aesthetic, was how well each space functions and feels, and now, living in the home, we can honestly say Peter has hit the mark for us. We love our home – it fits us perfectly! Peter brought an eco focus to our design which was brilliant as we all had similar views on the environment and utilising solar passive design where possible. Peter is an engaging and very passionate architect who is well educated in various building materials, Australian Standards and requisite Council guidelines. 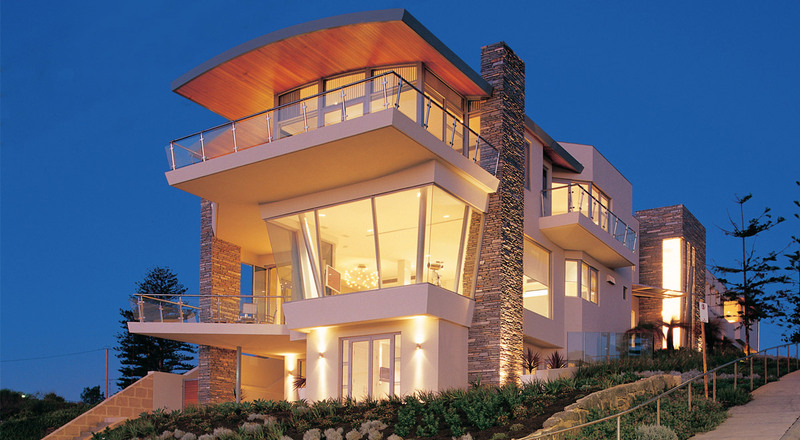 We highly recommend Peter Doggett as an outstanding Architect who creates unique, remarkable and highly coveted homes. We engaged Peter Doggett to design our new family home in Watermans Bay. From the onset we could see his passion for design, functionality and client needs was first and foremost. With all of us working together we have designed a home that exceeded our expectations and certainly one that we could not have achieved without his guidance. He was dedicated to the project all the way through to the end and worked closely with our builder to achieve this award winning home. His wife Kim also came on board to design all aspects of the interior and exterior finishes, working closely with us on all decisions. It was definitely a collaboration between all of us and the end result is amazing. We are very happy. We definitely give Peter and Kim our heartfelt thanks and would not hesitate to recommend their services to anyone. Peter Doggett was engaged to design our new home in Sorrento. This was a big step for us. 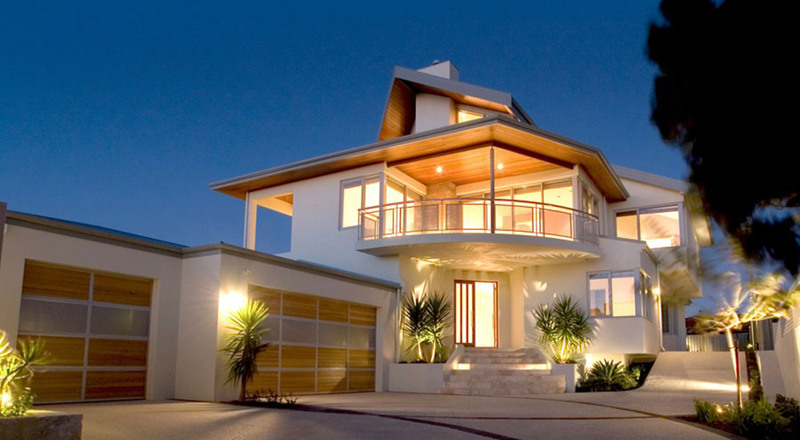 Initially, we had engaged another party to prepare preliminary plans for the renovation of our existing home. At this point, we contacted Peter for advice. During this process Peter convinced us of the merits of demolishing our existing home and building a new home even though this would involve a significant increase in our budget. Key to this process were Peter’s views with respect to how we could maximise the benefits of our existing site that could not be achieved if we were to proceed with renovating the existing home. Peter guided us through a detailed process whereby we maximised potential for ocean views, natural light, external landscaping and necessary privacy – all key components in our specification. Kim Doggett guided us skilfully through selection and ordering of interior and exterior fittings and finishings. During this process we were impressed with their passion for architecture and design and the way they engaged with us in a detailed collaborative process. In working with Peter and Kim we were aware that we would not be able to engage their full services for the construction period due to a pending commission in the UK that would involve them being away from Perth for a year. Due to these circumstances their agreed involvement was to design, submit necessary development approvals advise on working drawings, supervise building tender and advise on selection of builder. This was all achieved in a timely manner so that our builder was selected after a tender process with Peter and Kim being able to communicate extensively with our selected builder prior to departure for the UK. We were also able to communicate frequently with Peter and Kim while they were in the UK on any issues arising during the building process. After living in our new home for a year our verdict is that all of the hard work and decision-making has been worthwhile. With the assistance of Peter and Kim we have an outstanding and uniquely designed home that we absolutely love living in. Importantly, Peter and Kim were always aware of budget and we have the satisfaction of knowing our hard earned capital has been well spent. Peter and Kim come with our highest recommendation.